Last year, when Lynne Warberg posted her black-and-white photos on the photo-sharing website fotovisura.com, the site's creators, Adriana Teresa Letorney and Graham Letorney, knew immediately that hers was a story worth telling. Warberg, a 64-year-old retired professional photographer from Port Charlotte, Fla., spent two decades documenting her son, Sam, and his struggles with bipolar disorder and schizophrenia. While Warberg's photos weren't the most stunning images the Letorneys had ever seen, the pair saw in them a raw honesty and emotional power that deserved to be shared with a wider audience. And they knew how to make that happen. The husband-and-wife duo from Stowe, avid shutterbugs themselves, already had plenty of cred in the ultra-competitive world of high-end photography. Adriana, who cut her teeth in the photo departments of Rolling Stone, Harper's Bazaar, powerHouse Books and the Bruce Silverstein Gallery, has been a guest writer at the New York Times' Lens Blog and the Huffington Post. Graham, a lifelong photographer and web designer, produced multimedia stories for National Public Radio, Lindblad Exhibitions/National Geographic Society and the New York Photo Festival. Both recognized a compelling visual story when they saw one. So Adriana put Warberg in touch with Elizabeth Griffin, a photo editor at Esquire and Hearst Digital Media. Griffin was so taken with Warberg's images that in December she published Warberg's photographs, and her story, in Redbook. The online feature ran with a link to Warberg's fundraising site, through which she was trying to raise $10,000 to get Sam treated at Johns Hopkins Hospital. Within 48 hours of the story going live, Warberg had raised more than $4,000. "That is the impact of fotovisura," Adriana says. "We work with stories," adds Graham, "not just images." Indeed, for the past seven years, the Letorneys have been creating online platforms where photographers can showcase not just great photos but projects about which they feel passionate. In the process, the couple has created a global community of likeminded professionals who share their vision. And their website could very well change the paradigm of how photographers get discovered, published and paid. Both the Letorneys' newest project and their most ambitious, fotovisura — the word visura means "the act of examining closely" — is an online networking site for industry professionals. The original 1.0 version of fotovisura launched in 2011. The new and improved 2.0 iteration, which went live on January 6, is advancing at light speed. In just three months, more than 5,000 photographers have signed up, 60 percent of whom live and work outside the United States. Fotovisura is neither a photo agency nor a stock-image library. Here's how it works: Photographers pay a nominal fee to join. For as little as $20 per month, they get their own website, with its own URL linked to fotovisura, where they can showcase their portfolios and personal projects. Members can also access industry news, network with others in their field, and learn about and compete for grants, scholarships and workshops, including those organized by the Letorneys themselves. But fotovisura's newest feature is its most valuable: maximum exposure. The Letorneys have created an elite, invitation-only membership called Guild. It includes dozens of photo editors, directors of photography and publishers at some of the world's most prestigious print and digital publications and news outlets, including the New York Times, Bloomberg Businessweek, CNN, Esquire and Hearst Digital Media, the New Yorker, the San Francisco Chronicle, National Geographic, Mother Jones and Smithsonian Magazine. In short, fotovisura is quickly becoming the Facebook of the F-stop crowd and the LinkedIn of the lens and light-box set. It's an impressive feat for two thirtysomethings based in Stowe with a 17-month-old toddler, no office and a chief software engineer, John Connolly, who lives in their basement. "We are dreamers," Adriana says. "We want to redefine the industry in a way that photographers can make a living. We want to show what the infrastructure looks like. And fotovisura is a home for us to create that vision." Fotovisura was born out of the Letorneys' earlier efforts to create new avenues for photographers to get their work seen, not as a way for the couple to earn a living. While the endeavor isn't yet profitable, Graham says it's "on a nice trajectory." 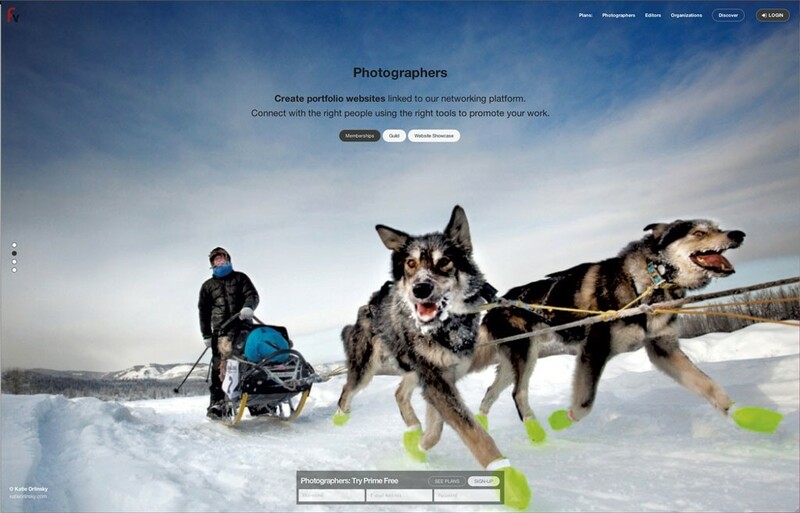 Fotovisura's foreign name was chosen to reflect the website's international focus. The 37-year-old Adriana Teresa was born and raised in San Juan, Puerto Rico. When she was 21, her father gave her a Canon Rebel. Adriana, who admits she struggled to communicate with words, saw photography as a game changer. "When I found the camera and began engaging with it, I realized that I'd found a medium through which I could communicate without saying too much," she says, in a recent interview at the Vermont Center for Emerging Technologies in Burlington. After college, Adriana tried law school, but soon realized she was in the wrong profession. Instead of registering for the second semester of her second year, she returned home and bought a plane ticket to New York City. "I had no idea what I wanted to do," she admits. "I just knew there was a magic to the medium, that it gave me a freedom and sense of interconnection with other people." In 2004, Adriana attended New York's School of Visual Arts and took classes at the International Center of Photography. Eventually, she landed an internship in a photo studio — cleaning it. "It was the only option I had," she says, "so I took it." Two weeks later, the creative director for Bloomingdale's visited the studio on a shoot, saw Adriana hard at work and told the studio's director to give the intern something better to do. Within weeks, Adriana was training as a photo assistant on major accounts. Graham, 34, grew up in Westford, where his family owns Rovers North, a classic Land Rover parts supplier, then attended the University of Colorado-Boulder. He studied business and economics but always engaged his lifelong passion for photography — "sometimes excessively so," he says. In 2005, he landed an internship at New York's prestigious Magnum Photos, in large part, he says, because the agency was intrigued by his business background. 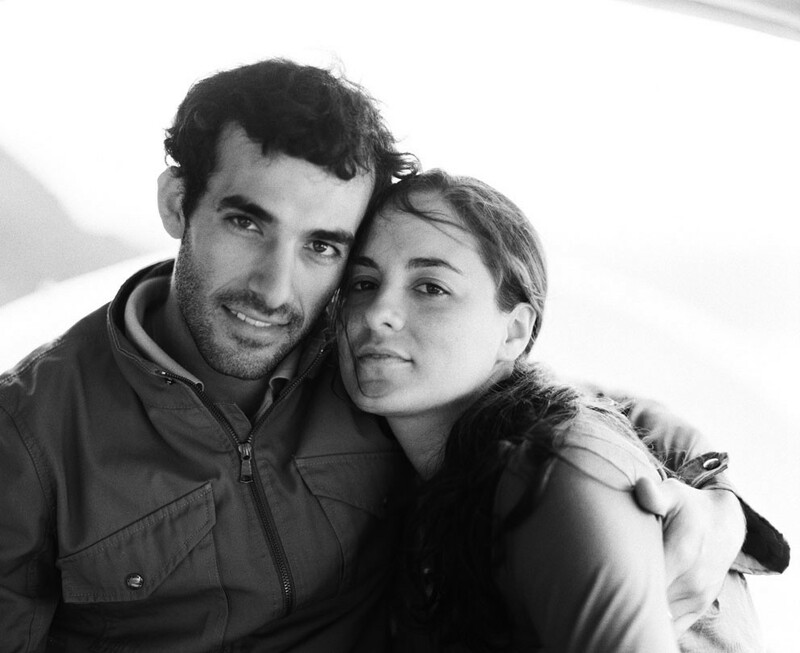 Graham and Adriana met in 2007 while both were working at Brooklyn's powerHouse Books. Its founder and owner, Daniel Power, also founded the New York Photo Festival. While there, Adriana recalls, she said to him, "I notice you don't have any art on the wall. I'm going to curate a show for you." Power agreed, and paired her with Graham on the project. Together, the couple produced the first of what would be several major photo exhibitions. When that festival ended, they got engaged, and were married the following year. In January 2009, the Letorneys launched an online photo publication called Visura Magazine. * As Graham explains, they wanted it to be advertising-free and filled with projects in which photographers were personally invested. They let the artists write about their own work, rather than assigning journalists to do it. For many photographers struggling to land assignments, it was a great way to get their images seen. "Think about it from a historical perspective," Adriana recalls. "This was 2008. The economy had crashed. Nobody had a job, and anyone who had invested in photography equipment was sweating bullets because we didn't know what was going to happen to us." The first issue of visuramagazine.com was emailed free to just 200 people. Within a month, the site had 20,000 unique visitors. During the ensuing two-and-a-half years, the Letorneys published 13 issues, all without ad revenue. (Graham says the magazine still draws heavy web traffic.) By the third issue, they were getting letters from photographers worldwide asking how they could join the "Visura family." Why did so many people want to get involved? "In a nutshell, Adriana is very convincing, and she's very, very passionate," says powerHouse owner Power, who's become the Letorneys' mentor. "She's got a very good eye. And, quite honestly, if you have a passion and a vision, you're going to impress a lot of people, and they'll want to be a part of that." Eventually, as other photography blogs arose, including ones connected to large mainstream publications, Visura Magazine made less sense. More importantly, says Adriana, the couple was uncomfortable with not being able to pay photographers for their work, a practice that contradicted their underlying mission of creating opportunities. One day, Adriana recalls, she said to her husband, "Graham, we need to build a community. We're a lost generation of photographers and photojournalists and writers with no infrastructure for a career path. We need a community to bring key players together so people have direction." And fotovisura was born. Since its inception in 2011 — the Letorneys settled in Stowe in 2012 — the site has helped scores of professional photographers find gigs. Fotovisura currently lists nearly 40 working photographers whose images were discovered there and were later published in such venues as the New York Times' Lens Blog, NPR's Picture Show and CNN Photos. "I love those guys! They're a real force for good within the industry," says Elizabeth Krist, senior photo editor at National Geographic and a member of the Guild. Krist, a 20-year veteran of that magazine, has judged several of fotovisura's photography competitions. And she's twice visited Vermont to conduct the annual photo-editing workshops fotovisura puts on at Stowe Mountain Lodge — for which one slot is always held for a Vermont photographer, Adriana says. Why would National Geographic need such a site? As Krist explains, it's an excellent way to discover new photographers who are committed enough to their craft that they'll immerse themselves in their subject material for months, even years, at a time. "For a lot of publications and photo editors, that's what we're really attracted to, seeing the kind of talent and dedication it takes to do a whole story," she says. Fotovisura, Krist adds, has become a "central repository" where some of the world's elite photo editors can poke around and discover "not just great images but great stories." Molly Roberts, chief photography editor at Smithsonian Magazine, agrees. Roberts says she's always looking for stories that weave together science, history, art, technology and international culture, which are the lifeblood of Smithsonian. Roberts joined the Guild because it lets her easily search the database of photographers by projects, ideas and geography, which she finds useful when making international assignments and matching photographers with an area of expertise. "Adriana and Graham care very deeply about the power of photography," Roberts writes via email. "They see how important it is to give the people in the field who are creating this amazing content the assistance they need to have their work seen by many different potential publishing opportunities." For someone like Warberg, who once trained under famed landscape photographer Ansel Adams but no longer shoots professionally, fotovisura is a place where she can remain connected to the industry. "I feel like I'm part of a wonderful family with them," she says. "[The Letorneys] are really doing great things, and I know they want to do even more. In years to come, they will be a force to be reckoned with." Correction 3/26/15: An earlier version of this story misstated the launch date of Visura Magazine. It was January 2009, not 2008. The original print version of this article was headlined "Shot at the Top"